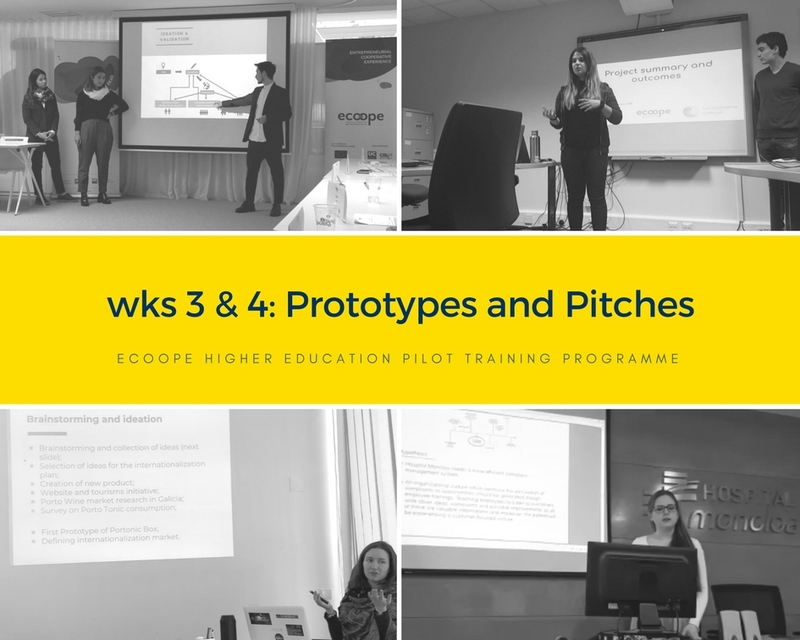 Weeks 3 and 4 of the #ecoopepilots have been intense: not only have our teams worked on their prototypes, but they have also presented them at the co-operatives and have even participated in a seminar on cooperativism and entrepreneurship. They have also made a final presentation at CISE before an audience related to the social economy sector and representatives of two of the co-operatives involved. In the presentations we could see a few business canvas models! It has been a very rewarding experience for everyone, and we all have learned a lot from it. The challenge at the hospital has now been focused on new solutions to dealing with claims/complaints. The process has been: interviews and analysis of system in place – benchmarking – hypotheses – brainstorming. 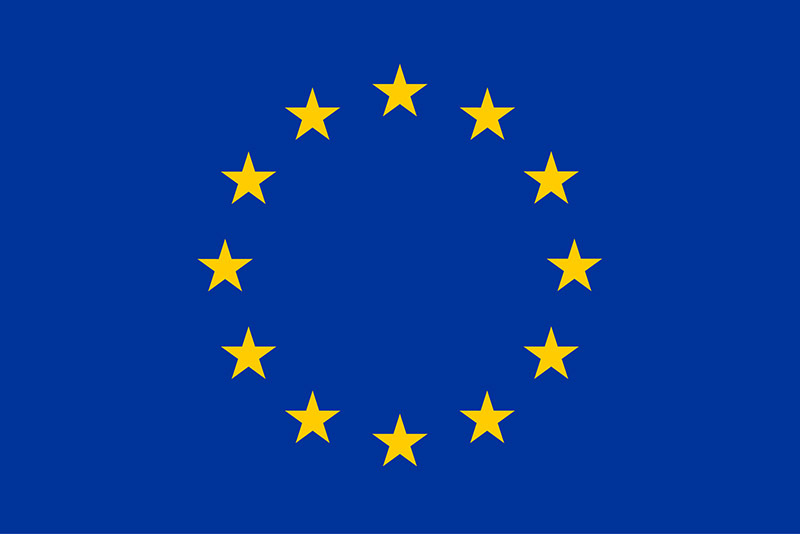 The team has come up with the need for a proper complaint manager system covering different stages: receive –assess- investigate – resolve, by studying other systems in place in other countries such as England, Canada or Australia (as Spain has no national complaints policy). Apart from a Complaint Manager system, staff training is key to see complaints as opportunities to improve and put a complaints policy procedure in place. Some other ideas were suggested, such as a system for patients leaving their comments when they exit the building, a “feedback month” to gather opinions and evaluate possible solutions, and a pilot chatbot with a small set of use cases that could be replicated afterwards in other areas (future IA chatbot for diagnosis). Our guys have also made some suggestions to create more value and improve the commitment of Espriu Foundation in the SDGs (UN Sustainable Development Goals for 2030), such as creating a programme and proposing a challenge to Engineering Universities to involve future engineers in the designing of the “auto-sustainable” hospital for the future. 1. Website, including community platform, involving the school students working in groups. 2. Social media strategy: different blogs for each educational level, where the students are key in generating the content –doing this, awareness about the school will increase, but also the students will benefit from working cooperatively, improving their writing skills and learning how to use social media channels in a responsible, mature way. 3. Welcome toy (mascot) for new little children – owl was the most voted toy out of the different animal toys proposed to help with the transition and give them a sense of belonging from day 1. Our winery participants prototyped an internationalisation strategy for Adega de Mesão Frio. The result of their work is the “Port-Tonic Box”, a combination of tradition and trend: The classical Port wine transformed into a refreshing cocktail, ready to be consumed at every moment. They initially carried out a market research for the market of Port wine in Spain and decided to geographically target the Galicia region, due to the fact that it’s one of the main wine consumers of the country and to its proximity to Portugal. Later on, they analysed AMF both internally and externally to obtain a certain knowledge of the current situation of the cooperative. Done this, the team defined their ‘persona’ (the ideal profile of the buyer of our Port wine) and worked on the marketing plan, the financial plan and the action calendar. The validation of the prototype of Porto Tonic Box has been conducted through a Google forms online survey addressed to potential customers and posted on social media. In the survey, the potential customer could comment on various features of the product, bearing in mind the product design, uploaded in the survey. The feedback has been gathered and analysed to improve the attractiveness and functionality of the final product. This first prototype was also discussed with the members of the cooperative, to have further feedback. Hypotheses concerning the final product have been validated with the positive feedback from the online survey: potential customers enjoy the concept of the product as a “grab-and-go” cocktail box, easily reachable in local supermarkets and they answered positively about the main features of the product: recyclable packaging and the possibility to find the complete recipe/instructions directly printed on the box. Thanks to this information, the prototype has been improved to its final version, with some adjustments regarding the design and marketing strategy. The challenge was to find out how different co-operatives work and undertake the following parameters: decision-making, internal communication, recruitment and the promotion of co-operative values and principles. This was compiled into a report summarising the findings, communicated via the outputs (report, webpage, example bank and infosheet). The main method for research was conducting interviews with co-operatives, with a template for the structure. Background: the basis for the parameters the team was looking at came from their observation week, interviews and conversations with Suma staff and recommendations from their Suma coordinators (especially recruitment). Through interview questions and informal information gathering, they discovered the processes that different co-ops have for the parameters. Online research in the form of looking at many internet websites and resources on websites was necessary for the fourth parameter, promotion of co-operative values and principles. As a summary, this pioneer initiative has generated synergies between the cooperatives and the participants, allowing the latter to get to know more sustainable business models from within. As for the cooperatives, they have been able to benefit from the participants’ objective gaze, who have analysed the challenge, come up with feasible solutions, built a prototype and validated it. The students’ solutions have been welcomed by the co-operatives. Representatives from two of the cooperatives who could attend the closure of the pilot programme in CISE – Santander, listened to the solutions to the challenges and agreed on the impressive performance of the teams and how important it is to carry out these kinds of initiatives: “We thought we had to be part of this project, because this is part of our NDA. We believe we have been able to convey the co-operative values to the participants. We are validating all their suggestions: even though they are not needed right now, we must get ahead on what we know will be our future challenges, so their contribution has helped us a lot in having a vision of how to overcome them” said José Luis Herrera from El Salvador. Another example of a likely-to-be-implemented suggestion is the prototype developed by the students in Portugal: the “Portonic”, a mixture of sparkling water and Porto wine, a fashionable drink the participants have transformed by designing a “grab-and-go” pack. “Research, benchmark and brainstorming: We have beeen able to elaborate more detailed concepts and hypotheses to start designing a prototype”.